Since the wind is getting crispier and the snowfall season is soon approaching, you're probably getting the urge to take your snowmobile out of storage to go on enjoyable and thrilling rides. Before you do, however, you should read the post below to find tips on how you can prepare your vehicle for the first ride of the season. Keep your snowmobile rides smooth and strong with AMSOIL's top quality products. Call John O Brown at (520) 444-2634 to place an order for the best synthetic oil in Show Low. It's been a while since you last rode your snowmobile, which is why the first step in making sure that you'll have safe and smooth rides this season, is reading the owner's manual once more. This will remind you of how you should use it, as well as give you tips on what you can and can't do while you're on it. You may even find tips on how to prepare it after it's been in storage. A tip you should follow when storing your snowmobile, is that you should clean it before putting it away. Still, even if you did, it's likely that dust, dirt, and other filth got to it while in storage. To ensure these nasty particles won't interfere with its performance, clean it thoroughly before you ride it again. When you do, check that there aren't any animals nesting in the exhaust pipe. Another common tip for snowmobile storage mentions that you should use a fuel stabilizer, since the leftover fuel in the vehicle can go bad while it's not being used. If you followed this tip, you should be good to go. If you didn't, however, you should empty out the gas tank and refill it with new fuel that won't damage the snowmobile's components. It's also a good idea to check the fuel system in general. As you know, your snowmobile requires new synthetic oil on a regular basis to keep the engine working strongly and smoothly. That's why you should provide this replacement before you go on your first ride of the season. This will keep the engine and its components properly protected and lubricated. Buy Formula 4-Stroke Power Sports Synthetic Motor Oil to keep your engine in mint condition for longer. The synthetic oil isn't the only fluid your snowmobile requires in order to work as desired. It's not the only one that needs regular replacements, either. Before you go for your rides, check the coolant, the chain case oil, the injection oil, the brake fluid, and more. Make sure they're at the right levels and condition to take you on a ride. If they aren't, change them at once. Idleness can take a toll on your snowmobile's components. That's why you should check that they're in perfect working condition before you go on one of your rides. Inspecting that everything works as expected (its clutch, the belt, the skies, the shocks, the tracks, the filters, the spark plug, its lights, and other components), can help you stay safe as you ride. As its name states, there's snow when you're riding on your snowmobile. This means that the weather conditions can be pretty harsh when you're out and about. To stay protected, examine your riding gear (such as your gloves, jacket, helmet, goggles, and more) to make sure that it will keep you safe and warm. 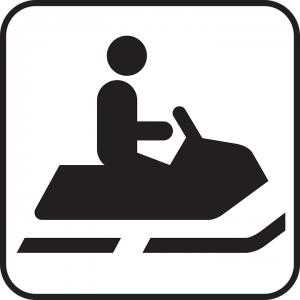 Before you go all out on your snowmobile, it's recommended that you take your snowmobile for a short test drive. As you're going through it, be on the lookout for any issues with its functioning and features. If you notice anything wrong, get the issues fixed before riding again. Last but not least, you should take your snowmobile to a professional mechanic. After all, you can never be too safe when dealing with a complex and powerful machine. Moreover, they'll be able to assess its condition, repair what needs repairing, and guarantee that your vehicle is ready to give you enjoyable and safe rides for the rest of the season. Search AMSOIL's online store or call John O Brown at (520) 444-2634 to acquire top performing products for your snowmobile, like the most effective synthetic oil in Show Low.